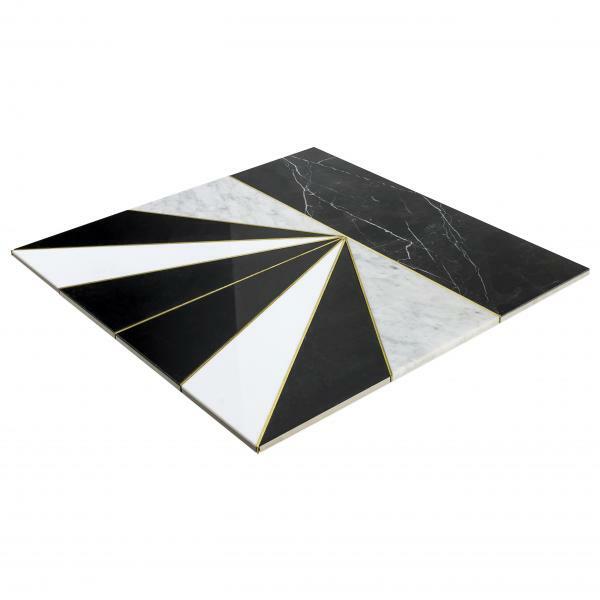 Tile importer and retailer TileBar has collaborated with interior designer and TV personality Vanessa Deleon on a new collection consisting of marble and brass. The third collaboration between the designer and the tile purveyor, Art Deco by Vanessa Deleon is “a reflection of her own signature aesthetic,” the company says. The large-scale collection consists of graphic, black-and-white patterns made up of Nero Marquina Marble, White Carrara marble, Thassos marble, and a brass inlay. Each tile is a combination of “A modern take on a classic look, the collection makes an elegant statement in residential, hospitality, and commercial spaces,” TileBar adds. The beauty of the collection is not limited to its materiality, but in the fact that with only two highly appealing patterns, multiple configurations and compositions arise. 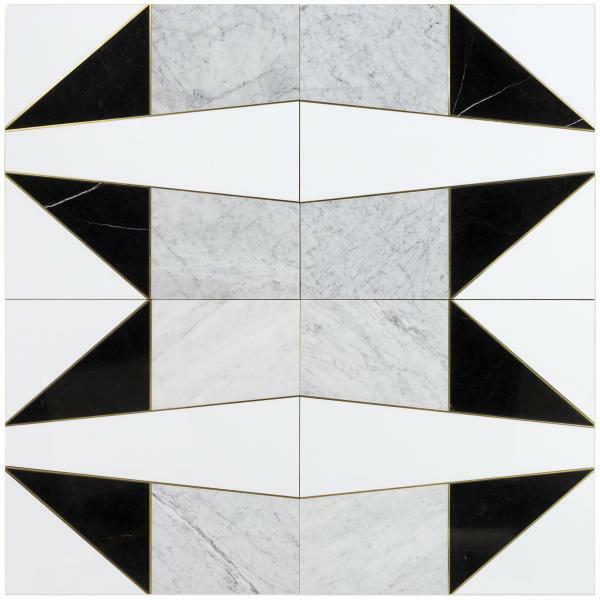 Large made up of white and black tiles, the collection is a quintessential New York pairing. The collection is currently offered in 24-inch-by-24-inch large-format tiles, though customization options are available for large orders. Suitable applications include interior floors and walls.